Opencart Booking Reservation SMS Notification module provides the most convenient and liable way of notifying the customers about their bookings occurred in the Opencart store via SMS. These SMS are sent to the customers at the time of booking created. To receive the SMS, the customers do not require an internet connection or compatible devices. Therefore, the customers will get the fast and quick SMS notifications on their registered phone numbers. This Opencart Booking Reservation SMS Notification module requires Opencart Advanced Booking and Reservation to be installed first. Opencart Booking Reservation SMS Notification module will work for Booking and Reservation products only. 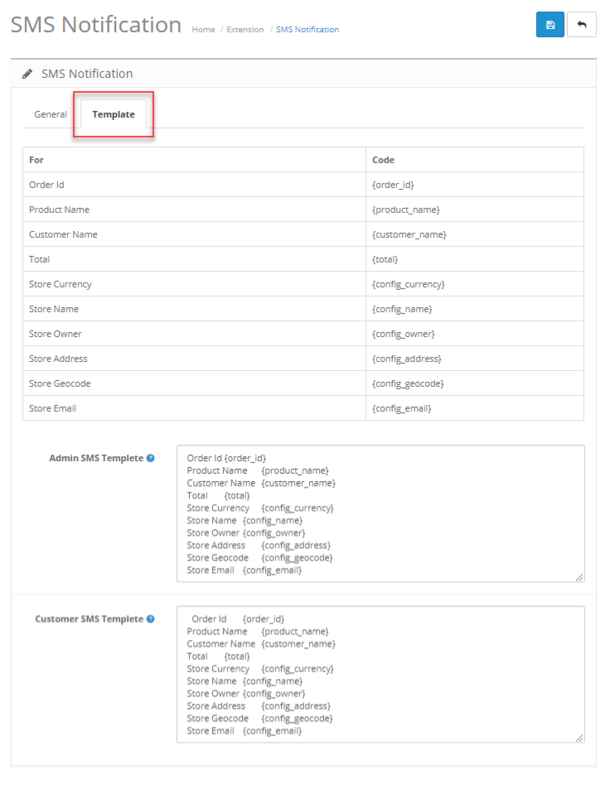 Opencart Booking Reservation SMS Notification module uses API of MSG91 SMS services. So you must have an account with MSG91 to use this module. Configure the booking message to be sent to the customers. The admin can use the pre-defined keywords in the message templates. The customers will receive SMS at the time of booking creation. The module supports registered as well as guest users to receive the SMS notifications. In order to make this module work, you need to get an API key from MSG91. Please click here to obtain your MSG91 API key. Please Sign in if you have an account on MSG91, else create a new account. Copy the Auth key and save it somewhere, it will be used in the Opencart module configuration. 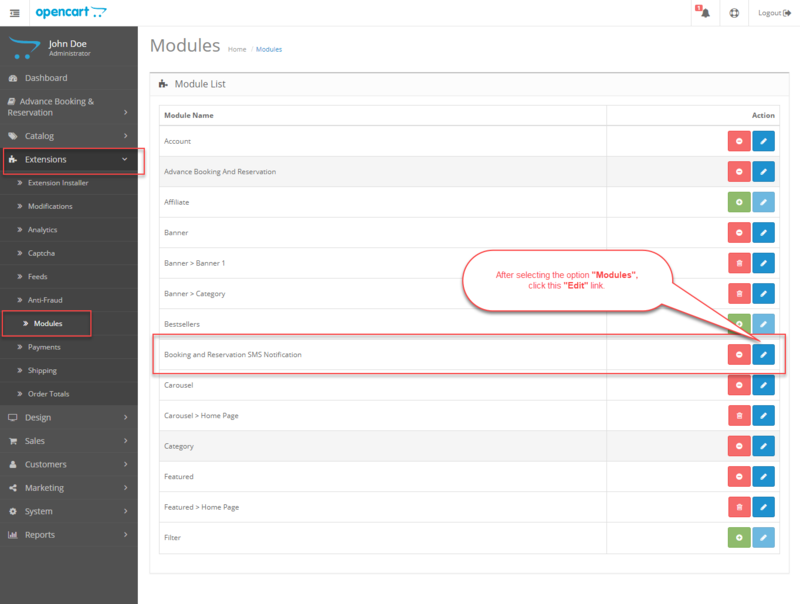 Here, select the module and then click on the Edit icon. This will navigate the admin to the Edit Account Module page as per the below image. Status – Set the module status as either enabled or disabled. Auth Token – Enter the token which the admin has received from the MSG91 account. 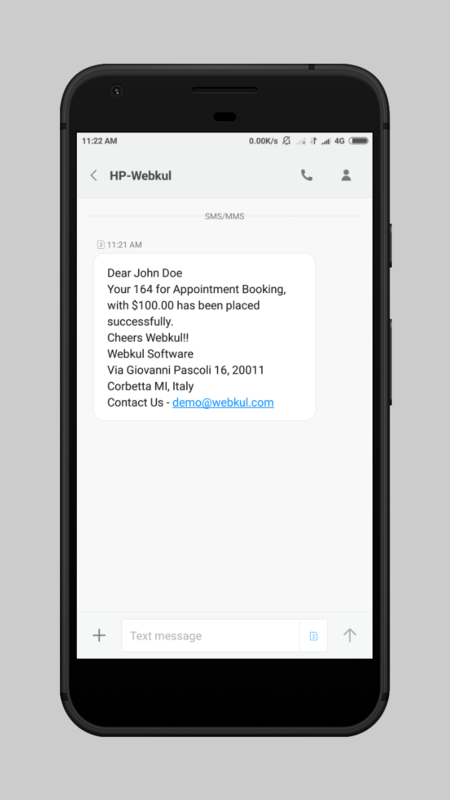 Sender Id – Specify the From parameter for the SMS. Instead of a phone number, this name will be visible by your recipients. 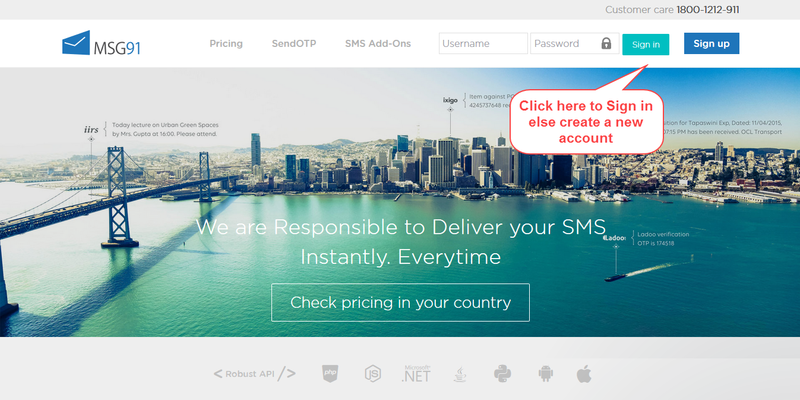 Country To Send SMS – Select the country of recipients from the drop-down. Admin Mobile Number – Enter the mobile number of the admin. Admin SMS – Enable it, if want to send the notification to the admin. Else, disable it. Customer SMS – Enable it, if want to send the notification to the customers. Else, disable it. 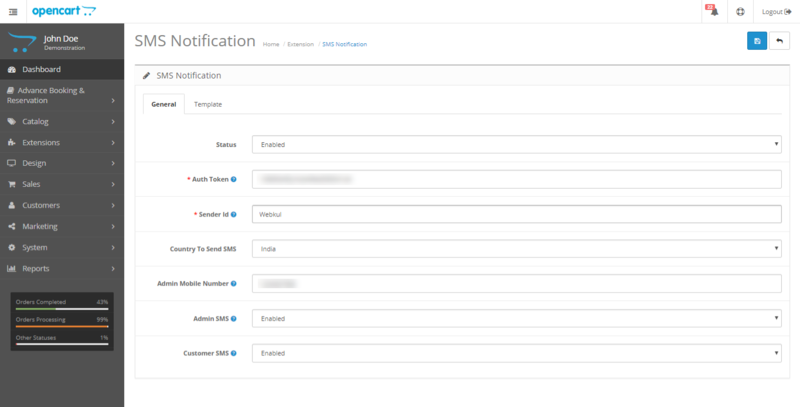 Here, the admin can use the various pre-defined keywords for the SMS notification. If the admin uses any of the keywords in the message, the information will be acquired automatically from the store. Admin SMS Template – Enter the content of the message which will be sent to the admin. And, can also use the defined keywords. Customer SMS Template – Enter the content of the message which will be sent to the customers. And, can also use the defined keywords. The module is an absolute solution to keep your customers informed about their bookings. The customer gets an SMS notification when a customer makes a booking. That’s all for the Opencart Booking Reservation SMS Notification module. If you still have any issues, kindly contact us https://webkul.uvdesk.com/.